Logs are the foundation of monitoring, alerting, and forensics. It just makes sense to have them all in one place. With everything in one place, it's easy to verify policy compliance for access, collection, regular review, and retention of logs. Answer auditors' questions in seconds with simple-to-use, yet powerful search capabilities. Decide what data to collect, from which endpoints, how long to keep it, and who gets access through the Graylog console instead of each endpoint or multiple management systems for different types of endpoints. The faster the better when you need to figure out if a breach put covered data at risk, how long the attack had been underway, and which records were impacted. With Graylog you have complete log data available—not summaries or aggregations—at your fingertips. Don't worry about what to log. Graylog can handle logging everything—up to petabytes of data—with no truncating, summarizing, or stripping of message. The last thing you want is to fail an audit or have to disclose a possible data breach because you failed to collect the necessary data for an investigation. Fast, highly available storage is expensive. That means setting long retention times in Graylog or any other log management system can trigger serious cost constraints. Luckily it's easy to compress and archive data offline and then re-import it if needed. 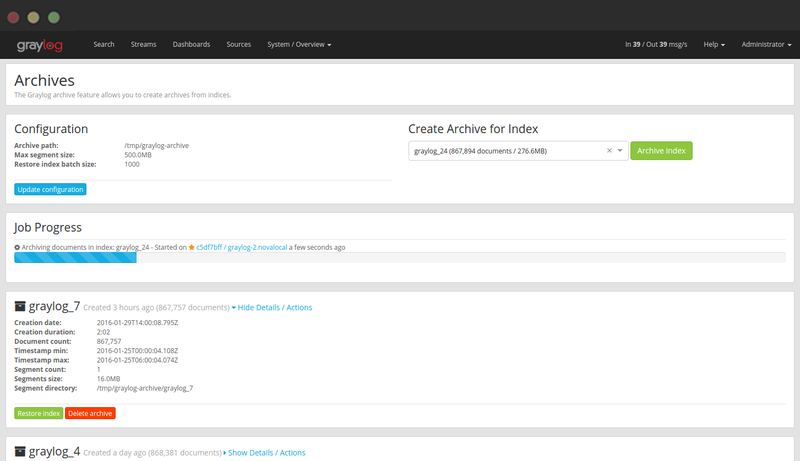 Graylog can be used to collect, parse, store, and analyze just about any structured machine data. Then you can enrich that data with additional information like threat intelligence data, IP geolocation, WHOIS data, and LDAP/AD information. You can even flag people and/or assets based on compliance requirements to make your reporting more robust and limit the number of systems needed to support an audit. One critical requirement common among data privacy regulations and security frameworks is the need to log the who, what, where, and when of access to audit logs of covered systems. 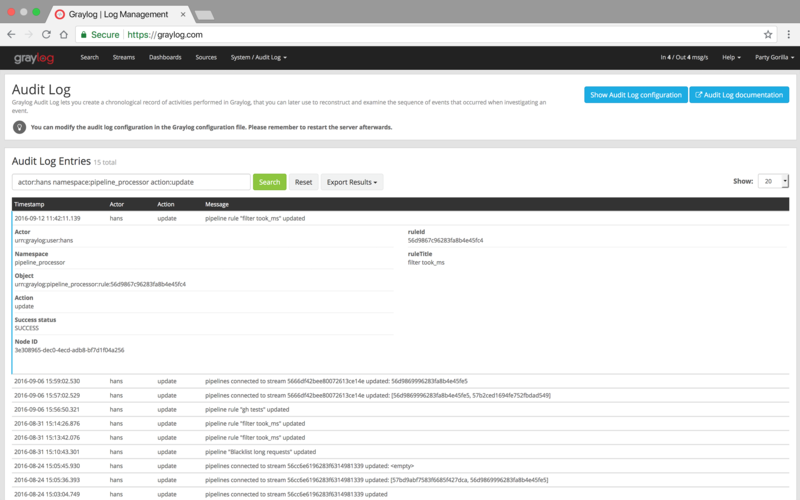 Allowing only Graylog to access logs gives you the ability to then monitor all activity in one place. Graylog makes it easy to visualize and explore data, even when you don't know exactly what you're looking for. With extremely easy to construct search queries, you don't need to be a PhD to write them. Need to find a specific session, but don't know which virtual server processed it? No problem. In just a few seconds you can find the session, then quickly pivot to the supporting data to find out what happened right before and after.